SUROCUK – Taiwanese committee meeting 2018! Surprisingly I’m really on-time this week and I’m back with a different topic! Last weekend I travelled to London to attend an exciting event, the Taiwanese committee annual meeting. I have never heard of this event before I became part of the Taiwanese committee members in Surrey, so it is basically an event for all the Taiwanese societies all around the UK to discuss the developments in the coming year. Yes, it’s all around the UK😮. Even though this event only invite the president and vice-president from each university, I am still very impressed by the amount of Taiwanese students that I’ve seen on that day. So what is SUROCUK? 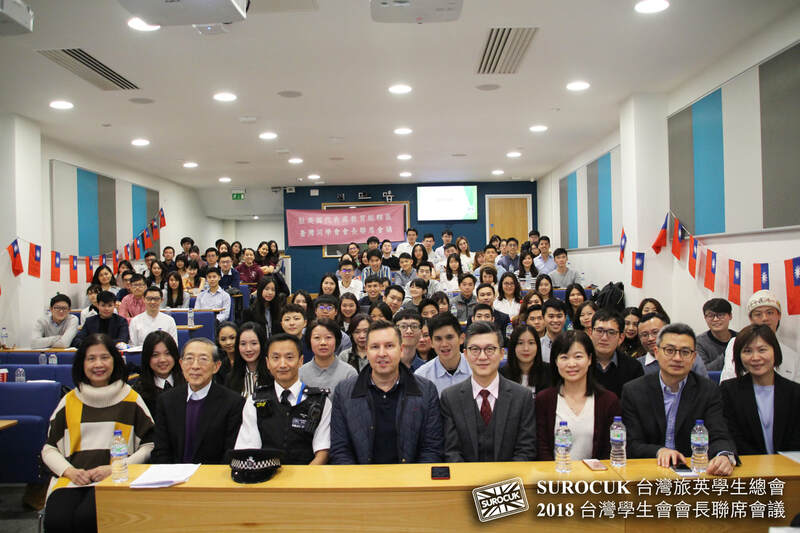 SUROCUK stands for THE STUDENTS’ UNION OF THE REPUBLIC OF CHINA IN THE UNITED KINGDOM, which is the student union of all the Taiwanese students who is study in the UK. And this annual general meeting is held by the student union and the ministry of eduction of Taiwan in the UK. The students who attend this meeting were coming from different universities around the UK, from London to Scotland including undergrads, postgrads and masters. It is always a pleasure to meet Taiwanese abroad, especially they are all studying in the same foreign country as you! Apart from the talks that were given by the government staffs saying what are the support we can get in the UK as an international student, they also introduce the development scheme between Taiwan and United Kingdom in terms of education, business and technology, which is quite fascinating. To see more info about SUROCUK, here’s the website! The highlight of the day is definitely meeting new Taiwanese people! There wasn’t a large amount of Taiwanese people in Surrey and the chances of meeting other Taiwanese students from the other universities are fairly low. This meeting has let me to meet people form Birmingham, Exeter and even Scotland! It was so much fun just to share different campus experience in different places, fun fact is everyone from outside the London are all jealous about how close Surrey is in terms of traveling to the UK😂 Once again proved that Surrey has the best location with less busy town centre hahaha. I still remember the president from University of Glasgow was saying how bored the town is, there is literally nothing to do in town even though it is already the most busiest centre in Glasgow, I think non of the Taiwanese will ever used to the night life in Europe due to our amazing night market in Taiwan! The event finished really successfully followed up with the amazing food fair, stay tune and I’ll bring you the story for the Taiwanese food fair next week!